Late last year we introduced you to a fellow named RAJ. As mysterious as the name is finding out who RAJ is was just as mysterious. Luckily enough, RAJ was opening for the ever growing The Neighbourhood and both acts were able to grace San Diego’s House of Blues. Alas! - allowing me to gaze upon this mystical creature. As if I couldn’t have been more hooked from his first single “Ghost,” I was packed up and sent for delivery with just seeing him perform such a sensual and intimate set. Outdoing what he had initially created seemed a bit out of the scope. Maybe this guy peaked too fast? How would he outdo what he’s already delivered to the musical scene? I was wrong. Out comes “Let Me Love you.” If I hadn’t developed a musical connection with seeing him on stage I know that I have a set connection now. Take a look and listen to the recently released video for “Let Me Love You.” Pour yourself a nice glass of Shiraz and crank up the volume. 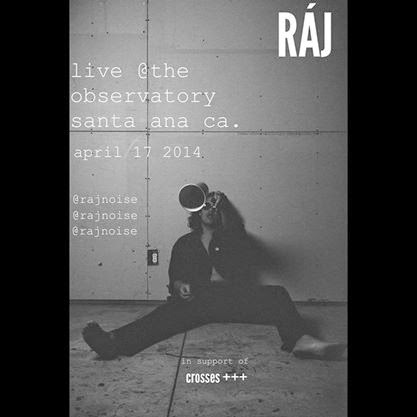 If RAJ continues to pour out melody after melody like “Ghost” (and now this) you’ll have a new baby making album. Thank us later!